KUWAIT-- Kuwait's historical heritage, tangible Intangible, is the of high concern and well cared for by the country's political leadership, with His Highness the Amir Sheikh Sabah Al-Ahmad Al-Jaber Al-Sabah on top, Minister of Information Mohammed Al-Jabri has said. 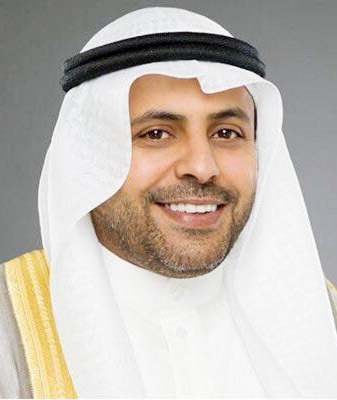 This is prompted by the fact that heritage is a "message of peoples and a means of communication and convergence, through the ages," Al-Jabri, who doubles as Minister of State for Youth Affairs, added in a press statement issued by the Information Ministry Friday. Meanwhile, the minister, who is also Chairman of National Council for Culture, Arts and Letters (NCCAL, said that Kuwait's attainment of a seat in the government committee, of the Arab group, in the Convention for the Safeguarding of the Intangible Cultural Heritage for a four-year term, has reiterated the distinctive Kuwaiti-Arab ties on all levels. It also reveals Kuwait's leading role on the regional and international levels through the various UN organizations, especially the UNESCO. He pointed to Kuwait's significant contribution to the efforts seeking to achieve the UNESCO goals. The minister congratulated NCCAL Advisor Dr. Walid Al-Seif on being elected rapporteur of the recent 7th session of the General Assembly of the States Parties to the Convention for the Safeguarding of the Intangible Cultural Heritage.